Although Blackberry is no longer glorious before, it still has a large use base on the market. With the arrival of Samsung Galaxy S5 this month, there will be a lot of people like me, who are intended to sell their old Blackberry device to purchase the new one. This is pretty common in digital life as new devices and features are steadily introduced at a monthly basis. Surprisingly, prices are almost the same, which is a strong signal to encourage users to buy the new models from mobile phone manufactures. When you switch from one Blackberry device to a Samsung powered device, the first thing is to backup your precious data stored on the old device. Then the next step is to transfer the content to new device and transferring contacts is always on the first priority. You can type the contacts manually on your new phone, but this is really inefficient if the number of contacts is not that small. However, with the help of certain software, all of the transfer can be done automatically in a few minutes. It takes all of the control of the details and only needs a few clicks to complete the process. To be frankly, Blackberry to Samsung Transfer is the best one I have used before. Supported Samsung Models: Galaxy S9/S8/S7/S6/S5/S4/S3, Galaxy Note 8/Note 7/Note 5/Note 4/Note 3/Note 2 and More. 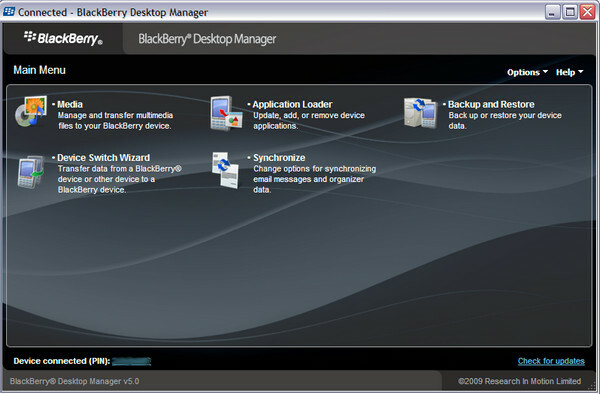 BlackBerry Desktop Software is the link between your computer and Blackberry device. Download it and install it on your computer. 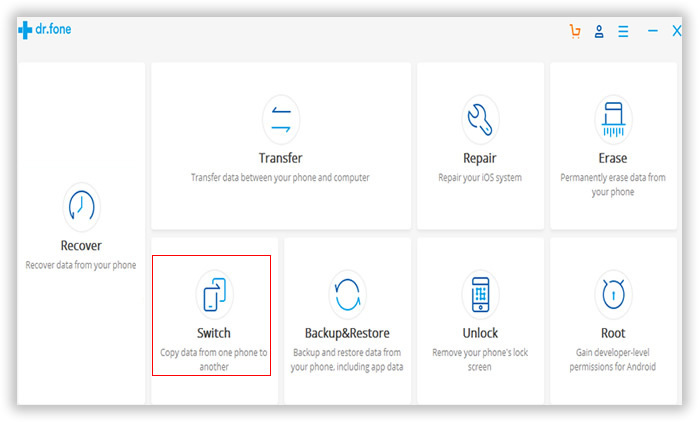 Once your device is recoginzed, then backup all your data on your computer for later use. Download and install the software on your computer as it tells. It only takes a few minutes to complete this process, just as simple other software installation. When the install is finished, it will be automatically launch. Then Click on Start button located on the main screen to start the phone to phone transfer. Connect the two devices to computer via USB cable as the software asks. Once connected, the software will automatically detect and analyze the devices attached. It requires 2-3 minutes to fulfill the task. Note: If the device is the first time attached to the computer, please install the proper Android USB driver before proceeding to next step. Select the items available for transfer on the center of the screen. 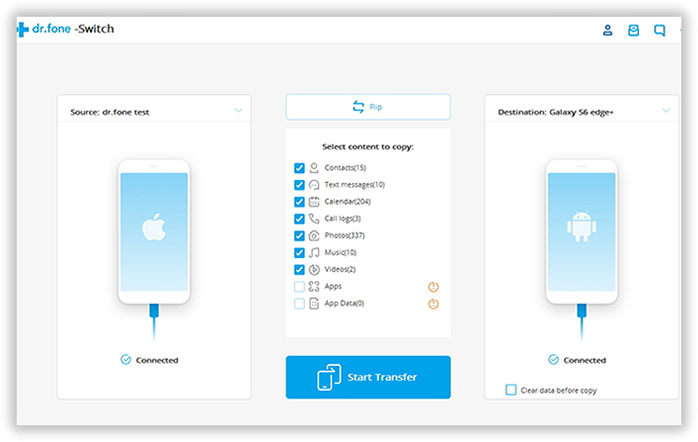 In this case, only contacts, text messages, photos and videos are supported for transfer. Just check Contacts only and uncheck other options as we need transfer phone contacts only. Then Click on Start Transfer to start the transfer process. 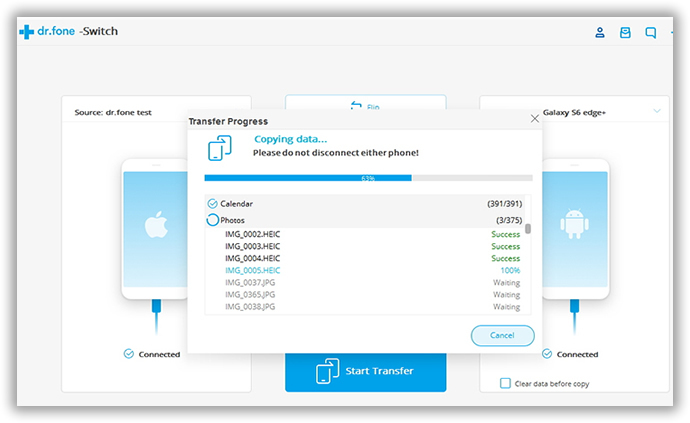 Phone to Phone Transfer is the only transfer software you need to help you transfer different content between multiple devices, like iPhone, Nokia Symbian, Blackberry and Android. With it, there is no need to worry about the transfer process, all of the dirty work is done automatically.